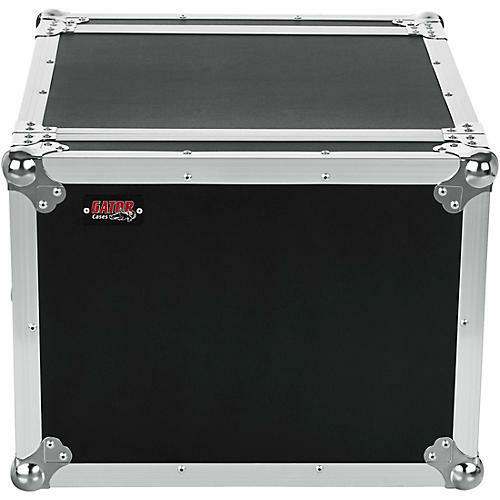 The Gator G-Tour 8-Space ATA Rack Flight Case features front and rear 3.2mm-thick rack rails and a 17" rackable depth with the lid removed. 9mm plywood shell with a polypropylene exterior. The aluminum valance is tongue and grooved for rugged touring duty. Heavy-duty hardware includes recessed latches and handles.